From Bastyr University’s website: click here. From Inside Bainbridge website: click here. 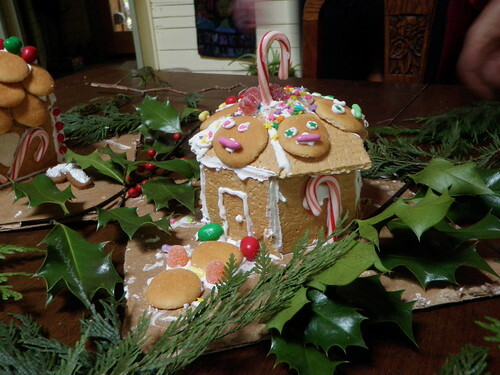 This entry was posted in News on December 20, 2012 by theresecharvet. The Groves gardens are in bloom and glory as never before–thanks to the efforts of guests and residents, some who came for a few hours, others who took-on a long-term project (like making, planting and tending a raised bed) and saw it through. As I look around at the beauty, I feel such gratitude for the many hands and hearts that have contributed their time and efforts over the past 5 years! Most recently, flowers and helping hands young and old showed up at our Spring Equinox celebration, planting a variety of colorful flowers in the Medicine Wheel Garden. Thanks to just the right balance of sunshine and rain, the flowers continue to bloom a month later. 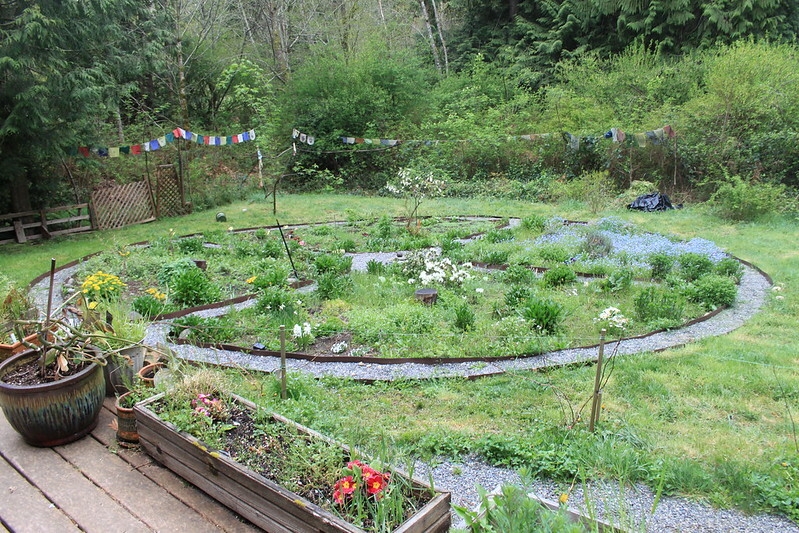 The sweet round shape of the garden was laid out and first planted at our Spring Equinox party in 2009. Now in its 4th year, we don’t have to work quite so hard as flowers and shrubs planted in years past re-bloom! 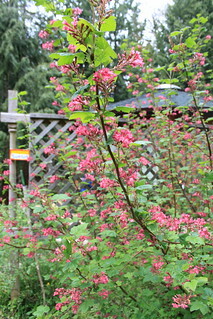 Check out this beautiful flowering currant–a native shrub that was planted in 2008…..Its been flowering now for several weeks, delighting us with its pink-red bountiful flowers. 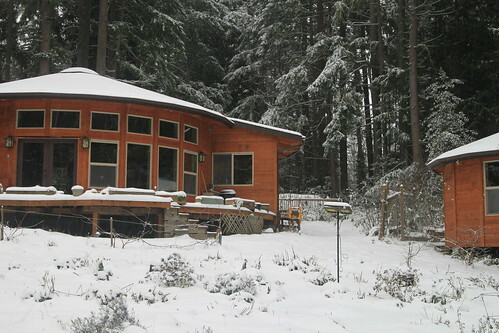 Update about our residential community: As of April 2012, we have two parties renting structures at Sacred Groves, but don’t have an active “intentional community.” We share the Round House and yurts with a steady stream of short-term guests, and continue to host our circles, ceremonies and small retreats. We aren’t sure when or if our original vision of intentional community will eventually manifest or whether something else will arise. 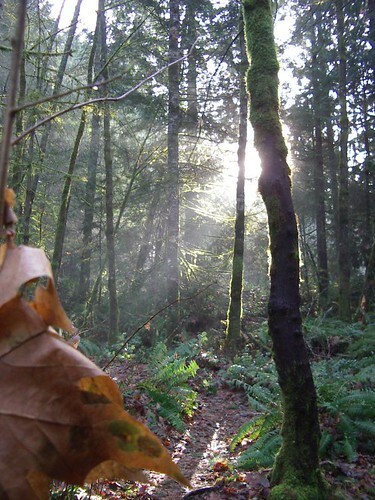 We feel a sense of trust in the healing power and beauty of all that we have created here, knowing that these Sacred Groves have a life of their own. At this point we are happy to welcome the many guests who are drawn to the healing energy of this place. We continue to keep our eyes and hearts open for the right people who might co-create a stable intentional community with us here, but are happy to wait “in the mystery” enjoying the current chapter we are in the midst of. Read more about this here. We’re coming into the season of long days and increasing warmth–WOO HOO! We’re offering some special events in the coming months: Compassionate Listening Intensive in early May, Spirit Quests at Ekone Ranch in late May and early September, our Women’s Rite Retreat in early June. In addition, we will continue to offer our regular monthly ceremonies and events, generally clustered one week-end a month. We’ll also be joining some other women’s events such as Women’s Summer Solstice (late June) and Women’s Way LongDance (late July) Life is rich and wonderful and we continue to fill-ourselves-up with good people, deep prayer and ceremony, beautiful outdoor settings and of course–GOOD FOOD! Join us at the Groves for some of this goodness–you’ll be glad you did! This entry was posted in News on April 25, 2012 by theresecharvet. Seasons Greetings & Happy New Year! 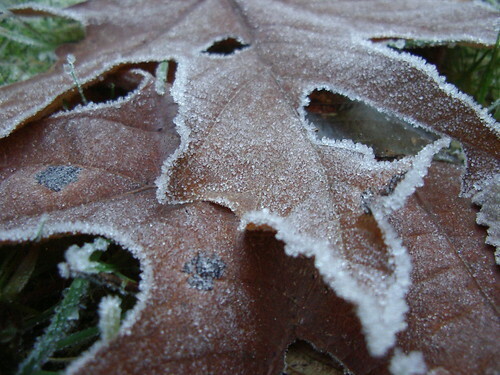 We’re coming to the end of another year, a big year for us here at Sacred Groves. It feels like a good time to give thanks to all of you wonderful people who have visited and supported the Groves over this past year, and share news about what’s been happening here for those of you whom we haven’t seen for awhile. Tere and I feel so blessed living this wonderful life on this beautiful and sacred land, sharing life with many open-hearted folks–those who live here and those who come visit. It is a good life and we give thanks every day for the abundance and beauty that surround us. .
Our “intentional community” here at the Groves has finally settled this year. Cristie (now “Cat”) Thuren and her two children Dusty and Miranda have lived here for the past 2 1/2 years. This year they re-located to the Round House, which they currently share with Sarah Jackson, Sage Vann and the baby twins, Liam and Genevieve. Tere and I also share the facilities at the Round House; our god-daughter Oneisha has been living here with us part-time too. The nearby yurts and other outbuildings give us space to get-away when we need it. Truth is, we really enjoy the warm & lively household we have co-created together. And new mama Sarah is happy for the extra hands to help soothe the twins, especially now that Sage is working full-time. We can’t imagine dealing with twin babies without this extra support! Van Calvez and his partner Sandra O’Connor moved to the Groves in mid-July. This is Van’s third time living at the Groves and we’re so happy to have him back! Among other gifts, Sandra brought an amazing “mother drum” (photo below) that now blesses the Great Room with its beauty and big voice. Lastly, Daniel Postlewait and his sweet daughter Juniper have been here for over a year. 6 children and 2 babies — WOW! We love hearing the children as they run happily through the woods or jump on the trampoline, their laughter echoing through the Groves. With all this good energy on the land–our gardens expanded and thrived, a beautiful and artistic fence was put up as an entry to the Round House, and a new structure is being built under Tere’s skilled direction. All of us living here have settled in as a happy and helpful family of families. In addition to our expanding residential community, this year we hosted hundreds of guests in our guest rooms (the Moonlodge and Guest Yurt) and at our many events and rituals. For the eighth-year running, Therese hosted a monthly women’s group (Earth Mothers circle) and this year again we offered two Grief Retreats and monthly Wailing Rituals. In addition, we hosted drum-dance nights, sweatlodges, compassionate listening trainings, a celebration at each change-of-season, the Sacred Fool Festival, Women’s Mysteries rituals, Spirit Quests in the Groves. New additions for 2010 were a monthly Red Cedar Circle, a class on nettles (taught by Jennifer Sundstrom), Spirit Quests and Family Camp at Ekone Ranch. We hosted two groups from Rite of Passage Journeys again this year too. It was a busy and full year, one that brought in much support, filling our hearts with joy & love! Several of you return to the Groves over and over and over again, becoming part of our extended family. We love this! We are also delighted to welcome newcomers. It seems everybody that shows up brings good energy for us and for the land. We know that 2011 will bring in more blessings and give thanks in advance for this amazing life we get to live in these sacred Groves. At this year’s end, we pray for peace –within each person, within families, neighborhoods, communities, and between nations. We pray that places of beauty on our beautiful Mother Earth will be protected and enjoyed as they are here at Sacred Groves. 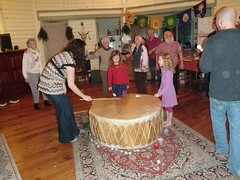 We look forward to sitting in circle, drumming, dancing, singing, opening our hearts, sharing good food, and deep ceremonies with those who show up in 2011. We hope when you come to the Groves you feel a sense of refuge here, a place where connection in community brings healing to your soul. May you all be blessed with abundance, beauty and love in 2011! DO come visit soon! This entry was posted in News on January 6, 2011 by theresecharvet.